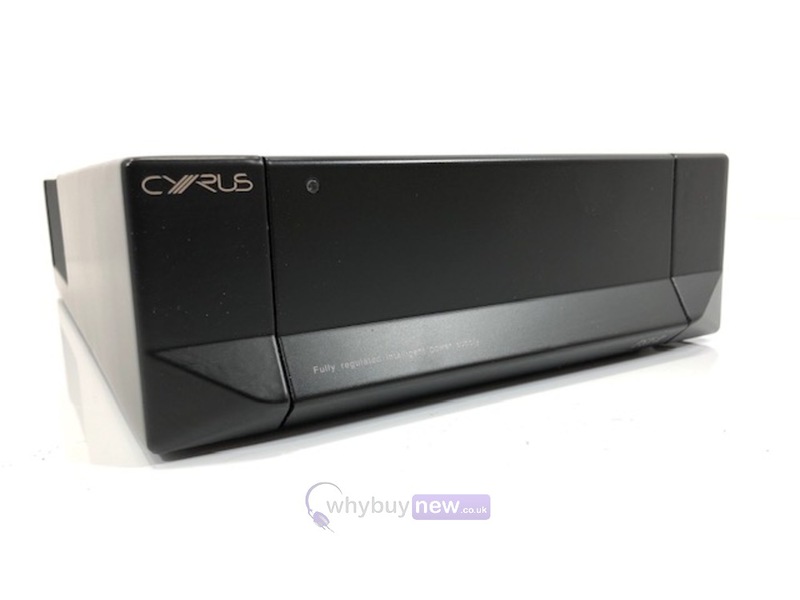 This Cyrus PSX-R Power Supply has come to us via a part exchange and comes with a 6 month warranty. It comes with the power cable and manual. This Cyrus PSX-R Power Supply does not include original packaging but has been professionally packaged to ensure safe delivery to your door. 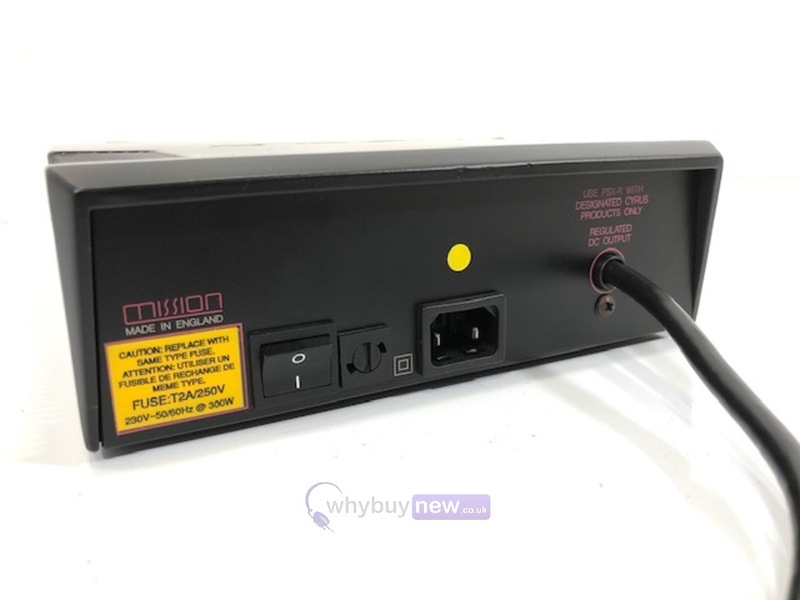 It is a widely accepted fact in the high quality audio circles that the power supply design accounts for a large portion of the overall perceived quality of the hi-fi system. 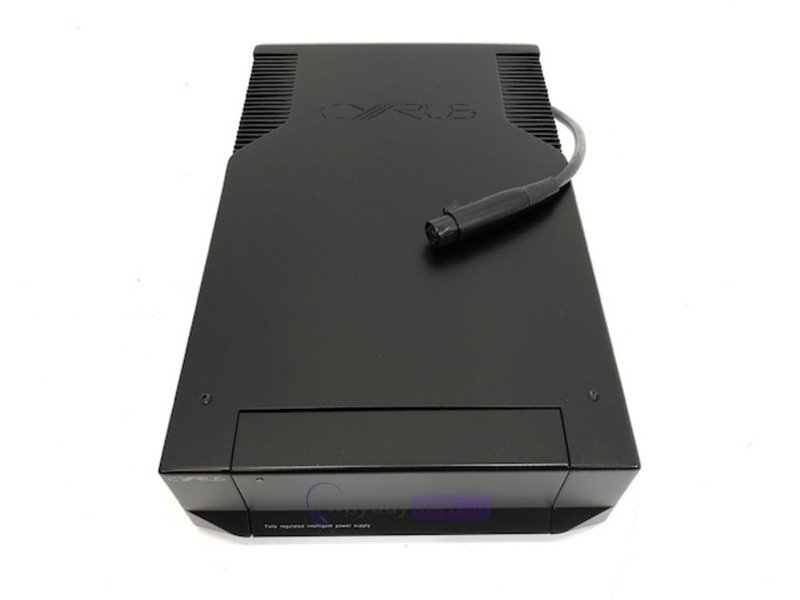 The Cyrus PSX-R is a 300W fully regulated DC Power supply designed to enhance the performance of the partnering Cyrus products when used as an optional extra. With its intelligent connectivity, the PSX-R automatically adjusts its output parameters to suit the partnering Cyrus component. A 300VA toroidal transformer with an enormous current delivery capability forms the front end of the PSX-R. The 30,000 microfarad slotted foil reservoir capacitors ensure that very low ESR and wide bandwidth are presented to the linear mode regulator stage that follows. The symmetry as a design objective set out in the Cyrus range continues to be an important topology feature of this wide dual bandwidth DC amplifier working as a linear voltage regulator in an identical manner for the positive and negative sides of the PSX-R.
Current sharing fast double output power transistors ensure quick response in providing the demanded current from the partnering Cyrus unit. Low noise high gain amplifiers in a propriety design provide the remarkable load and line regulation afforded by the PSX-R. The intelligent nature of the control circuitry built into the PSX-R not only sense the requirement of the partnering Cyrus component but also relinquish the power-on control to that unit to allow ergonomic operation of the system. At the same time this elegant circuit protects against maloperation of the PSX-R beyond the designed parameters. Connection to the partnering Cyrus unit is made through a quality XLR cable assembly that ensures tight coupling and minimal loss in efficient and fast energy transfer. In all instances except for high current applications the PSX-R may be added into the system without any changes to the existing components and by merely plugging the unit in.In low Power applications such as CD or DVD players the addition of the PSX-R provides a highly stable external Power with massive inertia which ensures ideal battery like operation for such units. In high Power applications, on the other hand, the PSX-R while establishing a very stiff voltage source behind the power amplifier, it successfully inhibits mains related distortions and charging spikes from reaching the signal lines of the amplifier. The quality lightweight die-cast enclosure of Cyrus PSX-R has a myriad of advantages both electrically and mechanically. The integrated heatsink design enhances the thermal efficiency allowing higher performance to size ratio. Additionally, the non-resonant nature of the alloy minimises microphonic effects, while its non-ferrous composition provides an effective shield from external electro-magnetic disturbances. This also eliminates coupling of the power transformer stray magnetic fields to the sensitive audio circuitry.